Infrastructure group Carillion has appointed a new chief executive. Andrew Davies will join the Wolverhampton-based group and its board in April, taking over from interim chief executive Keith Cochrane. Mr Davies has been chief executive of construction group Wates since January 2014 and will leave the post on November 10. Prior to joining Wates, he held a series of senior roles with aerospace company BAE Systems over a 28-year period. A statement posted to the stock exchange today said Mr Davies brought "executive, strategic, turn around and leadership skills" to Carillion as well as experience of complex public sector contracting in projects, support services and construction. 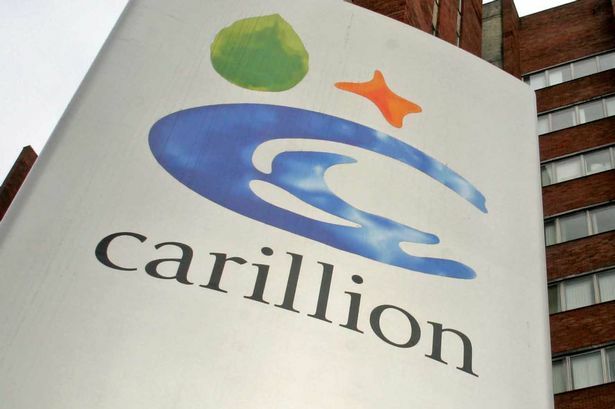 Carillion has not had a permanent chief executive since Richard Howson stepped down in July to become chief operating officer in the wake of the group issuing a profit warning. In September, it posted half-year losses of more than £1 billion and carried out a major shake up of its boardroom which included the news that Mr Howson would leave the firm. Carillion led the Library of Birmingham development and in July was named among the winners of major contracts to build the new HS2 rail line between Birmingham and London. Chairman Philip Green said: "Andrew has the ideal combination of commerciality, operational expertise and relevant sector experience to build on the conclusions of the strategic review and to lead the ongoing transformation of the business. "His experience and people-focussed personal style are an ideal combination for our business. "We are pleased that he has agreed to join us and we are grateful to Keith Cochrane for his interim leadership of Carillion." David Allen, chief financial officer at Wates, will become acting chief executive pending the appointment of a permanent successor. Chairman James Wates said: "When Andrew leaves, he will do so with the company in a strong position and well on its way to achieving its strategic goal of becoming a sustainably profitable, £2 billion turnover company. "It&apos;s been a pleasure to work with Andrew over these past four years and I have thanked him for his outstanding leadership in growing the business, building a strong management team and ingraining our core values throughout the organisation. "On behalf of the shareholders and the board, I wish him the best for the future."